Losing weight and hard work go hand-in-hand. There aren’t many ways to get one without the other. But, you may find yourself losing tons of weight even though you don’t want to. Throughout the year, your weight may fluctuate. It may go up or down by a few pounds. This is a normal process of your body and is nothing to worry about. But, if you’re going about your day and find that your pants are looser than before, you should check your weight. If it’s been less than six months and you have lost 5% of your usual weight, you should go talk to your doctor. Losing weight with no change to your diet or habits is a sign of serious issues, usually illness. Left untreated, some of these illnesses can be fatal. Here are some of the reasons you’re dropping pounds without moving a muscle. Your appetite is a good indicator of your thyroid functioning. When you experience a big increase in hunger, heart palpitations, difficulty sleeping, or the feeling of lying in a hot bath, all the time, you may have an overactive thyroid. This condition, hyperthyroidism, is known to cause weight loss because the thyroid boosts metabolism. Sometimes, you can even see hyperthyroidism. It’ll show as a swelling near the root of your neck as your thyroid gland increases size. If you’re a middle-aged to elderly man, it’s more than likely your symptoms of hyperthyroidism will be either subtle or nonexistent. If you’re often experiencing fatigue, inability to tolerate heat or a faster heart rate, it may be an overactive thyroid. Speaking to your doctor is paramount to your health. When discussing your symptoms, describe them thoroughly. Signs of overactive thyroid can be present in many other conditions. The cluster of symptoms will help your doctor correctly diagnose you. Celiac disease. This autoimmune disorder can drop your weight quickly. It’s tied to gluten consumption and, left untreated, can lead to other disorders such as Type 1 Diabetes, anemia, osteoporosis, and gastrointestinal cancers. Celiac disease is heritable and affects around 1 in 100 people. When you eat gluten (rye, wheat, and barley) your immune system attacks your small intestine, mistaking the gluten for something harmful. To avoid these issues, you will need to stop eating foods that have gluten, such as break and beer, and look for gluten-free options. Even crumbs of bread can lead to small intestine damage. Another cause of weight loss is issues with your pancreas. If your pancreas isn’t functioning properly then your digestion will be off. After eating a burger you may notice stomach pain, nausea, and odd-colored poop. Fatty foods are very bad if your pancreas is working poorly. Diabetes is a well-known disorder, and the first signs may be extreme thirst and peeing. The thirst comes from excess glucose in your system. In an attempt to handle all of that sugar, your body increases your thirst. When diabetes first develops, unexplained weight loss is a common symptom. Another symptom is less strength. 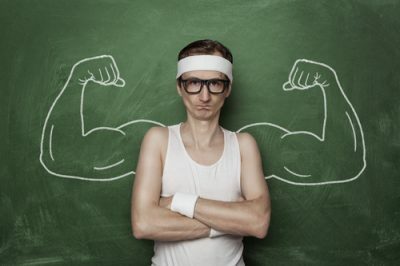 If you’re feeling like you don’t have as much strength as you did before, diabetes may be the culprit. Without proper treatment, diabetes will feed off of your muscles and you will continue to lose weight. Your doctor can diagnose diabetes. This is a serious disease that must be treated immediately. Without proper treatment, diabetes can lead to amputation, blindness, and death. If your motivation has gone missing for most of the day for at least two weeks you may have clinical depression. This disorder can cause weight loss because of a lack of appetite. Some other signs of depression that you may be experiencing are trouble sleeping or sleeping all the time, indecisiveness, extreme sadness or apathy, and heavy drinking. Heavy drinking is a separate issue, but substance abuse is a common coping mechanism to numb the unpleasant feelings, and thoughts, of depression. Weight loss and depression can blindside you. 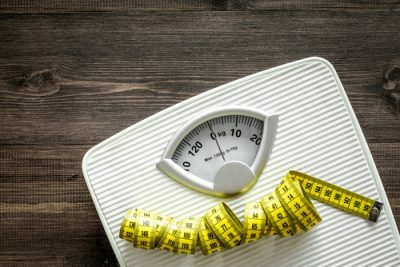 In the depths of depression, you may not notice that you are losing so much weight. But, if you are around others, they may comment on your appearance. If depression is affecting your life, you’ll want to go and see a psychiatrist, psychologist, or your general doctor. Linked to appetite suppression, rheumatoid arthritis is an autoimmune disorder that affects your joints. It causes inflammation of the joints, because your immune system attacks tissues, mistaking them for bacteria or viruses. It may also inflame your gut and disrupt the number of nutrients you take in, leading to weight loss. Rheumatoid arthritis and infections may interrupt your appetite. As you age, weight gain is preferable. Known as the obesity paradox, many elderly people actually lose weight. Your stomach will empty slower, which will keep you feeling full. Because your stomach is feeling full, or your brain signals are incorrectly reporting that you’re full, you may eat less. As you eat less and less, your body will lose nutrients and be unable to support itself. When you were younger, weight gain was associated with death, but in your older years, weight loss is the biggest concern. Due to the natural aging process, you may be on a lot of medications. These can disrupt your appetite. So, it’s important to monitor your eating habits, both the amount and frequency. 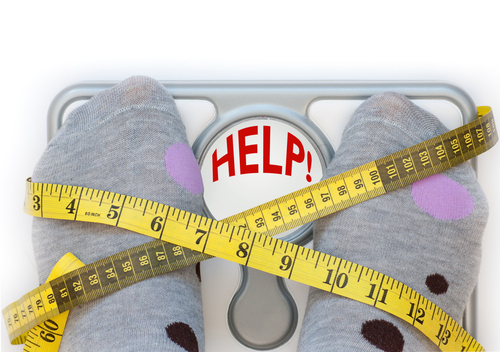 No one wants to hear this six-letter word, but it may be a cause of unexplained weight loss. There are several cancers that can cause weight loss. In addition, inflammation and issues with the absorption of beneficial parts of food can lead to weight loss. This inflammation can be caused by ulcers or tumors within your intestines or stomach. Unexplained weight loss is never a sign of anything good. Consult with your doctor immediately if you are experiencing any of these symptoms.